I’m seeing a bunch of people saying Shortcuts are a power user-only feature. “No normal person will ever use these!” In their WWDC keynote, I think Apple leaned too hard into what Shortcuts can do for power users, and people lost the message that these are something users will benefit from even if they do zero work to set them up. Let me explain. So when you launch Tweetbot, there are a few actions you can take: send a new tweet, tweet the last photo on your camera roll, or show you mentions (or activity). There’s more the app can do, but let’s focus on these 3 actions for now. If I’m the app’s developer, I can assign “intents” to these actions. This is a code change only, and requires nothing from the user. Once this intent “tag” (for lack of a better word) is applied to the action of composing a tweet with the most recent photo attached, iOS 12 will keep track of how often, when, and where you tend to do this. For a lot of people, this will be how they interact with Shortcuts. Apps will just tag their functions as intents and iOS will try to show you what actions you want to take before you even have to ask. Again, all of this will happen without the user needing to do anything, they will just find they can do the things they do all the time with fewer taps. The next step up in complexity is making Siri trigger these intents inside apps. iOS 12 beta users can already test this a little bit by going to the Settings app and choosing “Siri & Search.” In here, you can set up Siri to trigger Shortcuts for Apple’s own apps. You take an action (intent) you’ve done recently, record a phrase1, and use that phrase to trigger that action/intent whenever you want. In our example of Tweetbot tweeting my last photo, I could set something up that lets me say “Hey Siri, tweet my last photo” and it would open Tweetbot, start a new tweet, and automatically attach the most recent photo from my photo library. Then I don’t need iOS to guess that I want to do this at a specific time, I can just do it whenever I want. It’s not a great mock up, but the added Siri button above the keyboard could let the user set up a Siri Shortcut phrase right from inside the app they’re already using. And then there is the Shortcuts app, which is the rebirth of the Workflow app that us nerds know and love. This new app is essentially an interface to create multi-part Shortcuts of your own. Maybe I like to include some stock text in the Tweet that’s sent to Tweetbot when I post that photo, so I could add some variables to generate that text and include it in the tweet in Tweetbot automatically. Maybe I want to send a text to someone at the same time or turn on my desk lamp, or some other madness at the same time…Shortcuts lets me combine these elements which could be Shortcuts all on their own into one action that runs at the same time. We saw this on stage when they set up a Shortcut that would check their drive time to get home, text their spouse they were coming home, open navigation, start a podcast, turn on their lights, and set the thermostat to 70° all by saying “Hey Siri, I’m going home.” It was slick, but definitely something that will take some work to get right. Most people will not do this, but many will and they’ll get some serious benefit from it. I personally find it difficult to use non-iOS devices because Workflow has enabled me to do so much, but I know I’m a niche user. The good news is that the library of automations that we have in Workflow today appears to be living on in the official Shortcuts app, and normal people will be able to use Shortcuts created by other users. Shortcuts are a big part of iOS 12 and watchOS 5. Instead of opening apps and then doing things, Apple is trying to make it so people can more easily do the things they want to do without having to find an app icon first. Whether it’s seeing a shortcut you didn’t even set up yourself, asking Siri to do something you do all the time, or setting up complex automations, Shortcuts will be a big part of iOS and watchOS starting this fall for everybody. 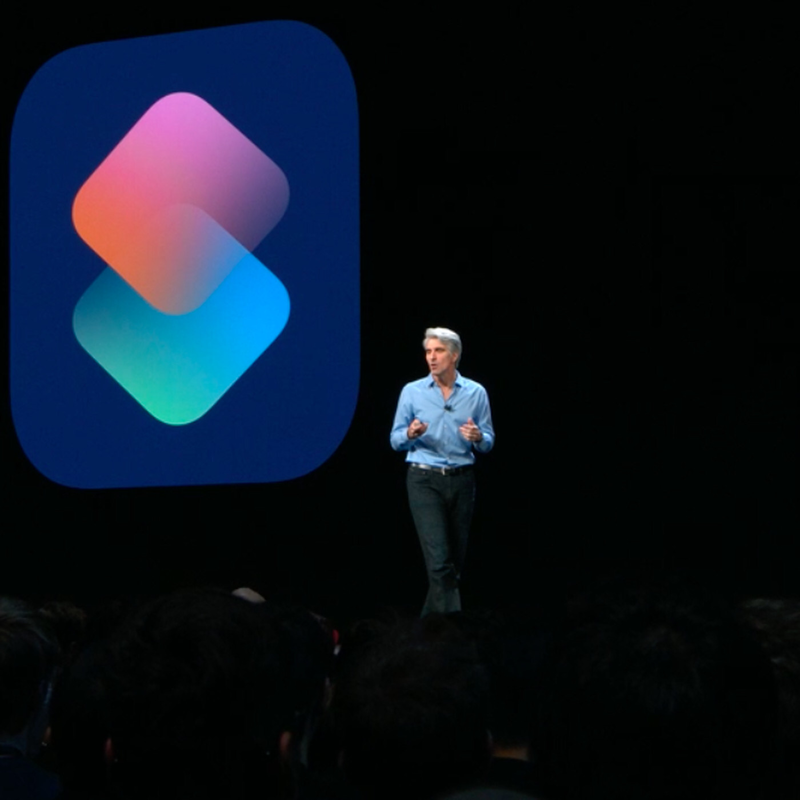 If iOS is not good at predicting what users want to do, then yeah, Shortcuts will lean more heavily towards the power user who wants to do more with their devices. But if they do it right, this is going to be a reasonably large shift in how people use their devices going forward. Changing iOS from an app-centric platform to an action-centric one is a big change, but it could pay dividends for them. Side note, consider the supposed home screen changes we’re expecting in iOS 13 next year. I would put a lot of money on shortcuts being a big piece of that redesign as well.